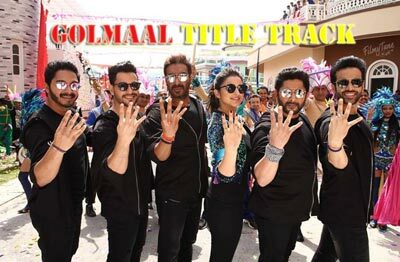 Golmaal Title Song is here from the Movie Golmaal Again. Director and Story writer of the Film is Rohit Shetty. 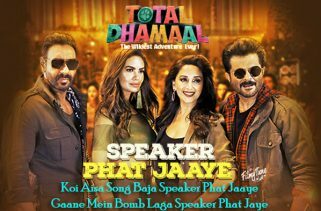 The Star cast of this song is Ajay Devgn, Arshad Warsi, Shreyas Talpade, Tusshar Kapoor, Kunal Kemu, Parineeti Chopra and Tabu. This Song in vibrant voice of Brijesh Shandilya and Aditi Singh Sharma. Kumaar has written the Lyrics and Thaman. S is the Music director for this track.